The Times of Malta reports that legislators are set to introduce harsher fines for injuring educators, after a union survey among teachers suggested that the majority had been victims of aggression. 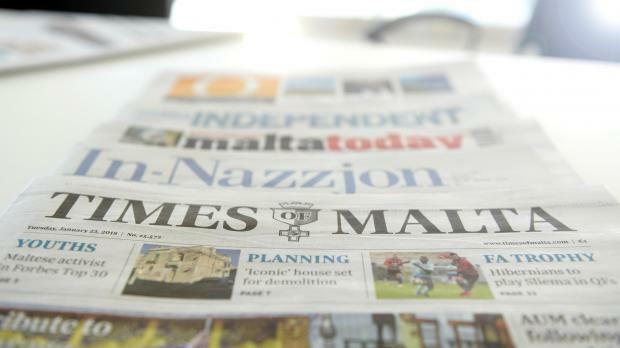 The Malta Independent reports that if George Vella were to be appointed President of Malta, he would be the first in 25 years to not come from within the ranks of the legal profession. In-Nazzjon leads with PN leader Adrian Delia’s Sunday speech, in which he said that the party’s response to attacks against him would rest with voters. L-Orizzont also leads with politics, quoting Prime Minister Joseph Muscat saying Simon Busuttil’s reaction to an appeals judgement which did not go his way was “surreal”.